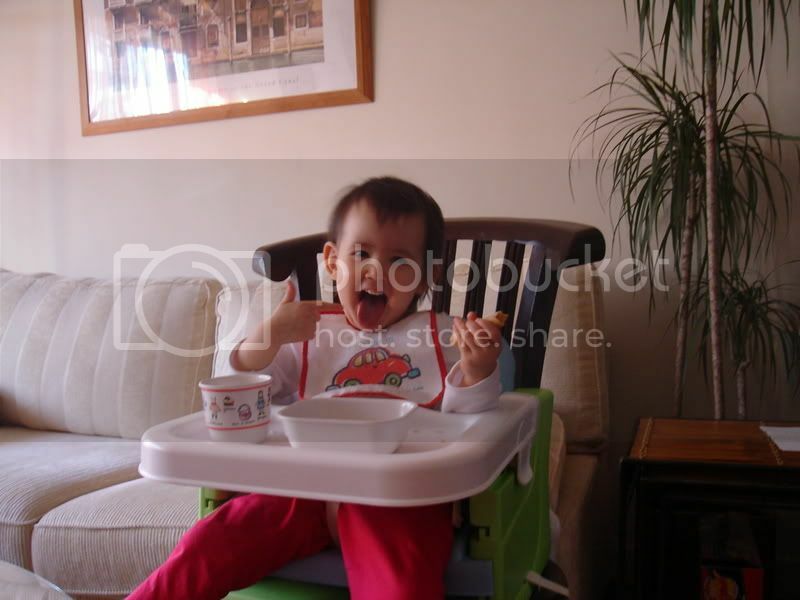 Across 2 Cultures - Cross-Culture Parenting and Lifestyle Blog: Enjoying Chinese New Year goodies. I had a few friends who came over to Paris over the last 2 weeks and they brought some Chinese New Year goodies for me. Most of them were homemade and I gave a handful of each to Laetitia to try during her breakfast or tea time. She particularly loves the egg rolls/love letters. 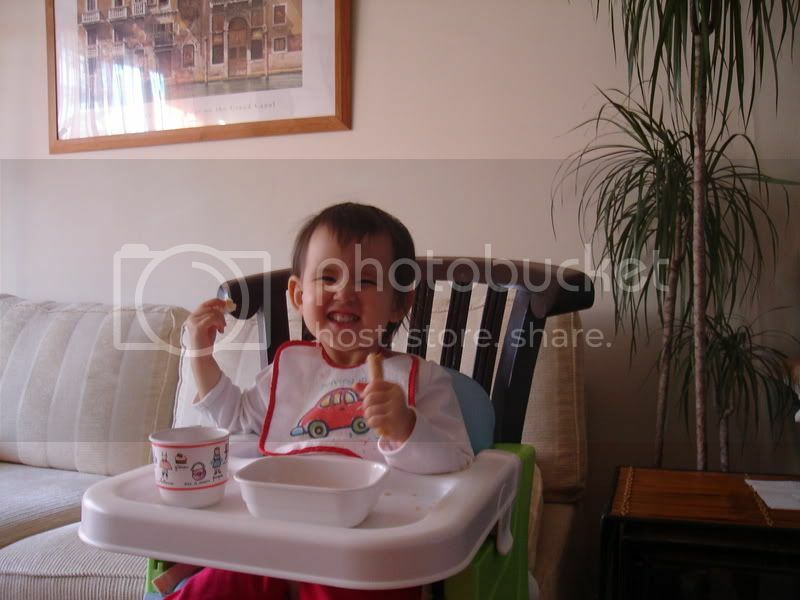 Here's some photos I took of her during breakfast time enjoying them. I am away in Geneva at the moment and Etienne is running solo at home. I trust that he is doing a great job and is having lots of fun with his little princess.